R0264. 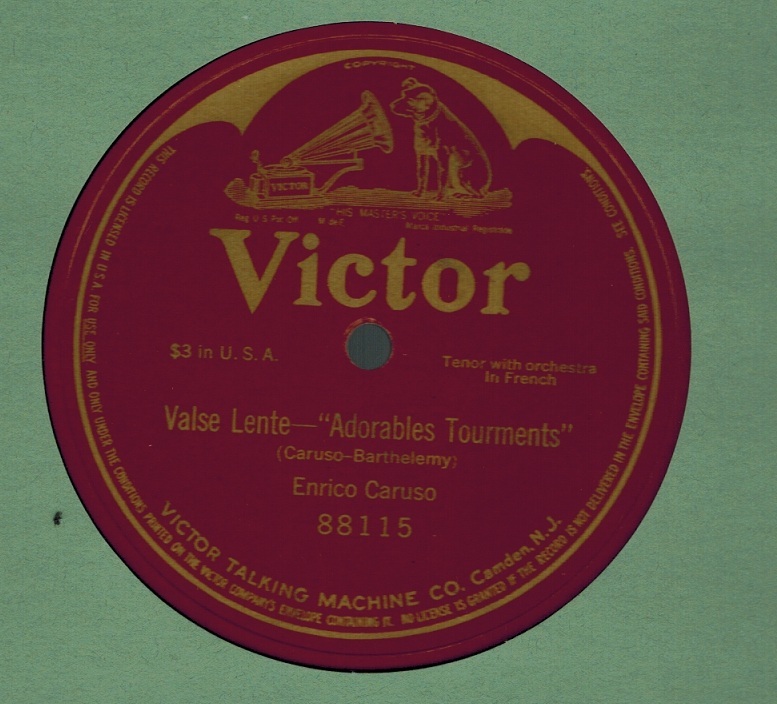 ENRICO CARUSO: Adorables tourments (Valse lente) (Barthelemy). 12” AC Victor 88115, POM-10 Jan., 1908. Superlative copy.